Hi! My name is Saee. 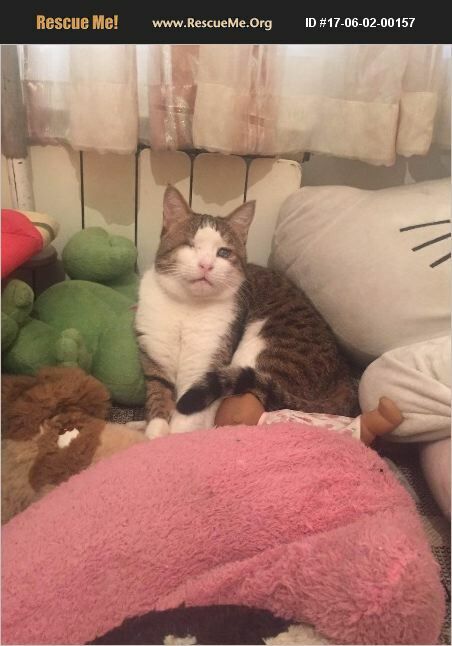 My rescuer found me in the streets of Tehran, Iran with a very bad eye infection. Unfortunately I lost one of my eyes and my other eye has a very low sight. Because of my look nobody wants me in Iran :( But I am very sweet and playful and want to have a good life. I am a bonded pair with my friend Half Face. He was abused as well. Please help us be happy forever!